who became the Nazi's biggest problem in Rome. 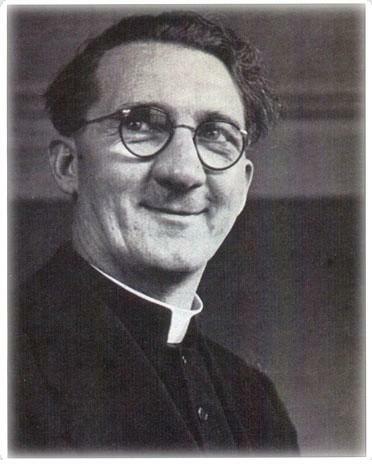 Monsignor Hugh O'Flaherty was an Irish Catholic priest living in Rome during the years of World War II. He was a secretary and notary in the Vatican's Holy Office. From 1943-1944, he was also one of the most wanted men in Rome. For Monsignor O'Flaherty used his status as a priest and the safety of the Vatican to rescue some 4,000 Allied prisoners-of-war and an untold number of Jews and other refugees from the hands of the Nazis. The danger didn't faze him. The expense didn't bother him. And a person's nationality, religion, or politics didn't matter to him. The Monsignor has been the subject of books, articles, television shows, and even a movie, The Scarlet and the Black, starring Gregory Peck, John Gielgud and Christopher Plummer. Despite all this, O'Flaherty's name and his courage remain largely unknown - perhaps because the man himself never sought honor or recognition for his deeds. Were he alive today, he would be extremely embarassed to have a website devoted to him. But stories like O'Flaherty's need to be told. Because the world needs to hear them. So please, enjoy this site and pass it on to a friend.